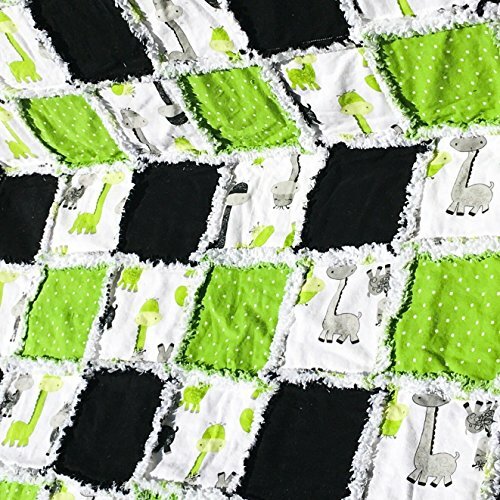 This modern baby rag quilt will light up any nursery with its bold, contemporary colors and design. Draped over the crib rail, or tossed casually over a rocking chair, this will definitely be the focal point of the room. Made with 100% natural cotton and cotton flannel, this quilt will make a modern statement while cuddling baby in softness for years to come.